Back in 1969 I was a freshman at North Carolina State University. One day I walked into the Student Union and there sat a Formula One race car on display. I was awe struck. And an idea took seed to build a street legal version. A couple of years later I purchased a book "Racing and Sports Car Chassis Design" (by Michael Costin and David Phipps). Over the years I have probably read the book a dozen times as the desire to build the car would blossom again. The idea would fade away after a time, the book would return to the shelf and life would move on. In the fall of 2013, the idea surfaced and this time, the time was right - by golly I am going to build a car! At first I was contemplating the GM Lean Machine that I had seen on display at Disney World's Epicot GM Pavilion back in the 1980's. This was an enclosed three wheeler using a small motorcycle engine. After doing some research I discovered that any vehicle with 3 wheels is deemed to be a motorcycle, by the Federal Government, and the driver must wear a helmet. I do not want to wear a helmet inside a car - so scrap plan A. Searching the Internet for a really sleek design, I found the Batman Tour Car. Looks a lot like a race car - could be doable. Then upon reading North Carolina General Statue 20, which deals with transportation in NC, I found that all glass in a car must be multi-ply safety glass. This glass has to be molded into the desire shape during production. A mold is ~$50,000 and you must order a minimum of 50 pieces at $500 each. It did not take a math genius to realize that was beyond my means. Finally I found a car that had a windshield that could be put together using flat pieces of safety glass. And the adventure began! Developed for the Sony PlayStation game Grand Turnismo, the Red Bull X-2010 became the ultimate F1 car. The idea was to design an F1 car without any of the restraints imposed on the actual F1 cars. The result was a 1500HP, totally enclosed (including the tires), vacuum sucking bottom car with unreal performance. Top speed of over 250 mph and cornering at close to 9gs. Red Bull had a full scale model made of the car - but other than that, no drivable, powered car of this design has been built - yet. This is the design I have settled on. After discussing it with Mary, she agreed as long as the insurance company approved ahead of time and that it was not built with money from the house budget. I paid a visit to our insurance agent and explained the plan. As long as I did not try to insure it for some ridiculous amount of money, there was not issue. As for building it without the use of household funds - I have no problem with that. So in October of 2013, I purchased a 1985 Honda V45 VF700 81 HP liquid cooled motorcycle engine - the power plant for the car. The idea of using a motorcycle engine has several good points - first they are relatively inexpensive compared to a car engine, second they already have a clutch and transmission built in, third - at 200 pounds it is much easier to handle that a car engine, and forth - I am not trying to build a F1 car to go fast in - I am building a F1 car to look cool in! After all - my last speeding ticket was in December of 1976 - I am not about to change my driving habits now. 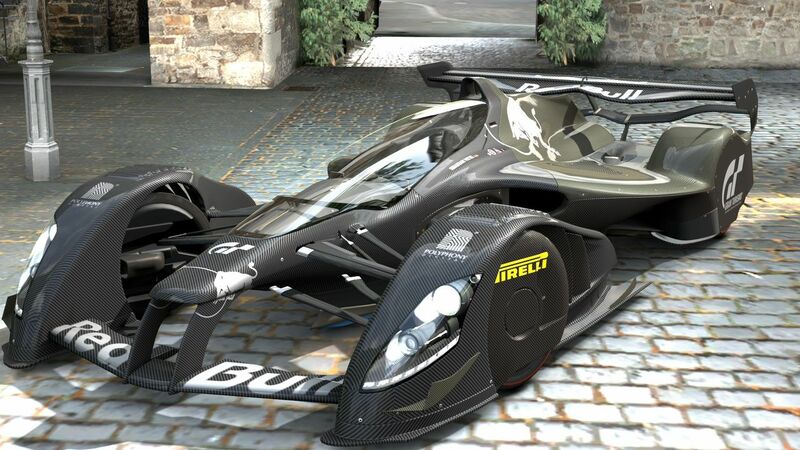 The body is, at this point in the design, a combination of aluminum tube and carbon fiber.